This new release from Lone Star gives us the opening show to this tour, only one other soundboard from this time has appeared and that was "A Profile box set disc 2" Kansas City on the 29th towards the end of the tour. Just a few days earlier Elvis' father buys a house at 1293 Old Hickory Road & separates from Dee, he moved in with Sandy Miller & her two children. Elvis appears to be in reasonable form and good humour, could this be why? The show is not the best show from 1974, as Elvis just sticks to the normal run of songs with only a few interactions with the audience & the band although he does ask Joe Guercio how many musicians did he bring from Vegas to the reply one & a half; a few highlights are "Why Me Lord" which has a reprise of the ending as Elvis enjoyed it so much. "Help Me gets a good going over although Shaun Nielsen s very prominent over it. "American Trilogy" as usual always goes over well with the fans, and here is no exception with the only down side Elvis lacks the voice on the big finish on this occasion. And straight after the version of "Let Me Be There" again has a reprise at the end but not mentioned on the sleeve notes (they are getting as bad as the FTD label for lack of information). 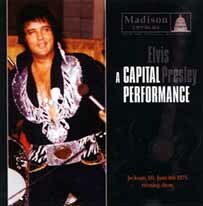 Elvis mentions he'll be back at 8:30pm tonight during "Funny How Times Slip Away". The most noticeable thing about this show is Elvis is calling out the songs which would lead us to believe that no set plan for a song rundown had been set, if it was it looks like it was thrown to one side, which gives the show a slightly rough edge to it. Still this is a great addition to the collection. Now that both releases have appeared I suppose a lot of good and bad reviews will start to appear, well I for one will not be drawn into any bitching about this one's better than this etc. but here is what I see and hear as an average fan and collector. Both come with an 8 page booklet both with pictures either from the show or the same jumpsuit worn anyway which is a good thing, the LMP booklet is made from thin glossy paper where as the Madison feels as if it's one grade up from the LMP version of glossy paper so it's a little more sturdy. Both give a review of the show from slightly different views and sources. The Madison booklet is dark compared to the LMP version, which is very light and bright, but again this all comes down to taste and the mood of the designer. The sound is as stated before LMP is re-mastered like the old D.A.E CD's of old, The Madison, is a rougher version giving us what's on the original tape, which is noticeable on the joins made to complete show as the Memphis show used (on both) is of better sound. 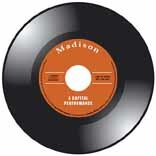 This doesn't mean that the Madison version of the show is poor in quality, it is still an above average sound, and many fans prefer the material to be left as it is, no tampering or touching up which I think Madison have done, giving the fans the raw material. On the LMP version the joins are not noticeable, as the sound is even throughout the show, so it's almost if not impossible to tell where the joins are. The only major down side to the Madison release is the fade out half way through "How Great Thou Art" that is a shame. I have to say I enjoyed both releases but LMP has to be the better of the two when it comes to sound, whether you like the re-mastering or not this is the age we live in. So as stated before if you like the old D.A.E sound you'll love the LMP version as it's every bit as good if not better than anything D.A.E produced over the years. And if you like the original unhampered Soundboard sound then it has to be the Madison release for you but if you haven't got them already or ordered them from your dealer, then you could miss out on this "Double Release". I am luck I suppose I have them both, like so many other Elvis fans who will invest in both, although it is the same show, the CD's are two, so different releases..
Once more unto the breach we go, Elvis in concert June 8th 1975, how many more shows from June do we need? Well collectors want them all and I must say, I too would love a complete tour on soundboard. 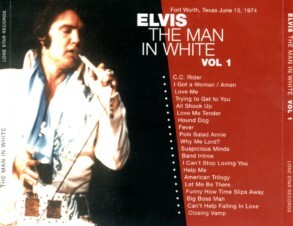 Of late though nearly all soundboard releases have come from 1975 and mostly from this tour, so most will be well aware of Elvis' form during this tour, as the most famous show from this tour followed two days later in Memphis and released in 1995 by DAE "Let Me Take You Home" over the years more from this Memphis show has been cropping up, a few years later we got the opening by Voice from the Memphis show on the LUXOR release "Guaranteed To Blow Your Mind" and now here on LMP "A Capital Performance" we get Jackie Kahane going through his routine from the Memphis show too, all this material makes you wonder just how much more from the Memphis show is going to turn up, The CD "Let Me Take You Home" still well ranked in the import top 20, which I think with this material could have made an outstanding double CD, with the opening acts on CD 1 and the concert on CD 2. Oh well that was never to be, so what is old Jackie like as a comedian well first we must remember this is over 27 years old so it's a little dated by today's standard and it don't come over all that well, in saying that I think you really needed to see him do his act as he apparently had some amazing facial expressions which don't come over too well on CD. Another thing about Mr. Kahane I have heard a couple of his acts on CD/Audio from 1974-1976 and his act was very similar to this one, it looks like he didn't change his act too often either? As a bonus track it's ok but only something you'll listen to once I think. The show it's self is very similar to all the others from this tour, nothing really stands out although Elvis dose put on a great show and if you were hearing this for the first time, not having heard the other releases them I think you'd be more than happy with this outing of Elvis In Concert. As so many people know this show has been committed to CD by two companies one the LMP label which I have hear and for a first release is outstanding. The other label being the now famous, Madison label. 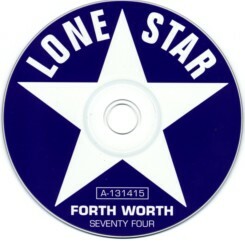 So picking this show up should be fairly easy as twice the normal amount of CD's are being made available to us. Although fans are a little weary of the new LMP label as Madison has been around for some time and picked up a healthy allegiance of fans who won't buy LMP because they think Madison will be better, well it's the same show and similar quality, Madison have there view of releasing the shows as they prefer to release the raw version if you like, others like DAE & now LMP like to touch up the tapes for what they call improved sound and better feel to the show, this will please some fans, others will prefer the raw version. So to a degree we are all being kept happy, so best not complain too much about either version of this show, and like many will collect both versions anyway. At least they are getting published. One final note on this show here on the LMP label you get to hear the show in 5.1 surround sound so if you have the capability to play it that way, otherwise the better the hi-fi you have the better the results will be. 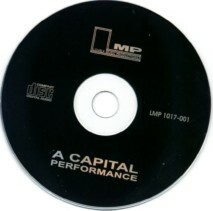 Lets now start looking foreword to the next release which by the sleeve notes states the next release will be "Movin' Mobile" LMP 1017-002 and amazingly the sleeve notes state it is available but I would say this is a slight exaggeration, let's hope we don't have to wait too long for this one, this show has been around in the collectors hands for some time, the first clip from this show turned up on the CD "Livestock Live" where we got a sneak preview of the sound.